If you’re a fan of “The Godfather” films, you’ll appreciate this “video mash-up” that I put together during my long stay in Sicily. Although the film will lead you to believe that the Italy scenes from the Godfather were filmed in Corleone, this is not true. They were actually filmed in the small town of Savoca because the city of Corleone was too developed to film a rural scene. 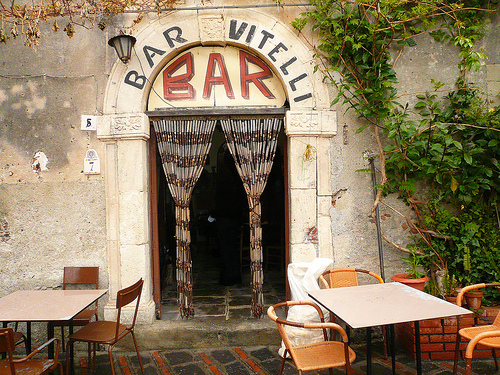 This video will walk you along Savoca and show you “Bar Vitelli”, the bar where Michael discusses the marriage with Apollonia’s father. You will also view the church known for the famous wedding scene from Godfather I (when Michael marries Apollonia). You will then continue up through the city to experience the amazing view! Savoca is such a beautiful city in Italy! If you’re visiting Sicily, I definitely recommend spending at least a day walking through the area. This entry was posted in Sicily. Bookmark the permalink.